A dynamic duo has successfully gained the upper reaches with a successful launch by Arianespace of the Intelsat 33e and Intelsat 36 satellites aboard the first Ariane 5 launch vehicle's orbital injection mission of two Intelsat satellites. 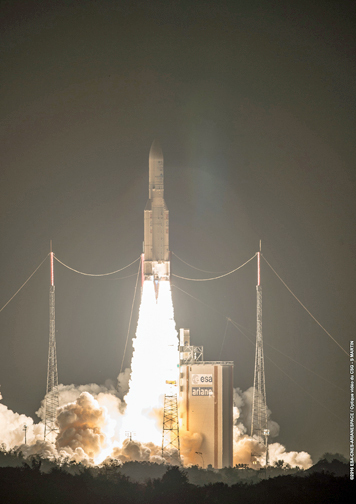 Two telecommunications relay satellites were orbited for Intelsat via an Ariane 5 launch. Arianespace’s sixth launch of 2016, the fourth using an Ariane 5, occurred on Wednesday, August 24, 2016, at 07:16 p.m. (local time) from the Guiana Space Center in Kourou, French Guiana. This mission was the 73rd successful Ariane 5 launch in a row and also reflected the steadily increasing performance of the Ariane 5 rocket—back in June of this year, the Ariane 5 established a record launch of 10,730 kg. This launch was Arianespace’s second of the year for Intelsat. Arianespace has now launched 58 satellites for this operator, with their business relationship spanning mre than three decades. 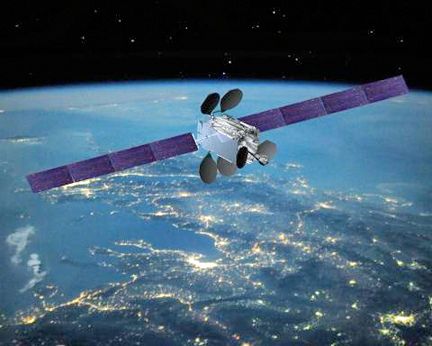 Intelsat operates a fleet of approximately 50 satellites and delivers high-performance distribution solutions for media applications and high data-rate connectivity for enterprise, fixed and mobile telecommunications and government applications. Intelsat 33e and Intelsat 36 are the company’s 57th and 58th satellites launched by Arianespace since the orbiting of Intelsat 507 in October 1983. Intelsat 29e, launched in January of 2016, covers the Americas and the North Atlantic. Intelsat 33e, the second satellite in this series, will provide broadband coverage of Europe, the Middle East, Africa and the Asia-Pacific, as well as certain media solutions. The Intelsat 36 satellite will provide media distribution services for the south African and Indian Ocean regions. 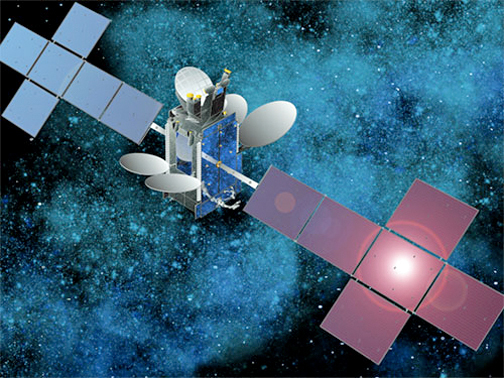 Artistic rendition of the Intelsat 33e satellite. Since the company's inception, Arianespace has launched half of all Intelsat satellites, including half of that firm's current on orbit fleet of operational satellites. In 2017, Arianespace will launch two additional Intelsat satellites: Intelsat 32e and Intelsat 37e. Arianespace and Boeing have been partners since 1987. Intelsat 33e is the 52nd Boeing satellite to be launched by Arianespace, which has four more Boeing satellites in its order book. Arianespace and SSL have been working together since 1983. With Intelsat 36, Arianespace has now launched 56 satellites based on SSL platforms and has nine more SSL satellites in their order book, including five to be deployed in GTO. Arianespace now has five geostationary (GEO) satellites in its order book for US-based operators, along with 12 geostationary satellites built by American manufacturers. The company also will deploy telecommunications and Earth Observation (EO) constellations built in the United States. Artistic rendition of the Intelsat 36 satellite. Arianespace will use an Ariane 5 in October of 2018 to launch the James Webb Space Telescope (JWST), developed by NASA in conjunction with the Canadian Space Agency and European Space Agency (ESA). Shortly after the announcement of the orbital injection of the two satellites on today’s Flight VA232 with Ariane 5, Arianespace Chairman and Chief Executive Officer Stéphane Israël extended his thanks to Intelsat for their loyalty over the last 30-plus years and for selecting Arianespace for today’s first-ever launch of two of their telecom satellites on the same Ariane 5. He also thanked Boeing and SSL who built the two Intelsat satellites launched on this mission as well as offered his congratulations to everyone who contributed to this 73rd successful launch in a row of Ariane 5: Airbus Safran Launchers and the entire European launcher industry for the reliability and availability of Ariane 5,; ESA, for their seamless support for the Ariane program; the CNES/CSG, and all companies and staff at the launch base and the teams at Arianespace, for their commitment and professionalism, as we the company marks the sixth successful launch in 2016 and gears up for five more launches during the year.